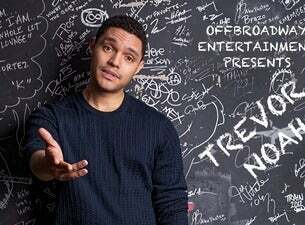 Since taking over the hosting duties of The Daily Show following Jon Stewarts departure in 2015, the comedian has grown in popularity, from releasing New Yorks Bestseller Born A Crime, Stories from a South African Childhood, in 2016 to his Netflix special - Afraid of the Dark, in 2017 and his latest Netflix special release - Son Of Patricia, in 2018. Before moving to the U.S. in 2011, Noah rose to fame in South Africa through his stand-up work, including series of comedy specials. Noah has gone on to tour the world to sold out audiences across the United States, Australia, Europe, Africa and Middle East. Noah performed for the first time in the UAE in March of 2014 to sold out audiences and headlined the first ever Dubai Comedy Festival in 2015. He has performed to sold out audiences across Dubai and Abu Dhabi since. Now you can get to watch him once again on his Loud & Clear, 2019 Tour!